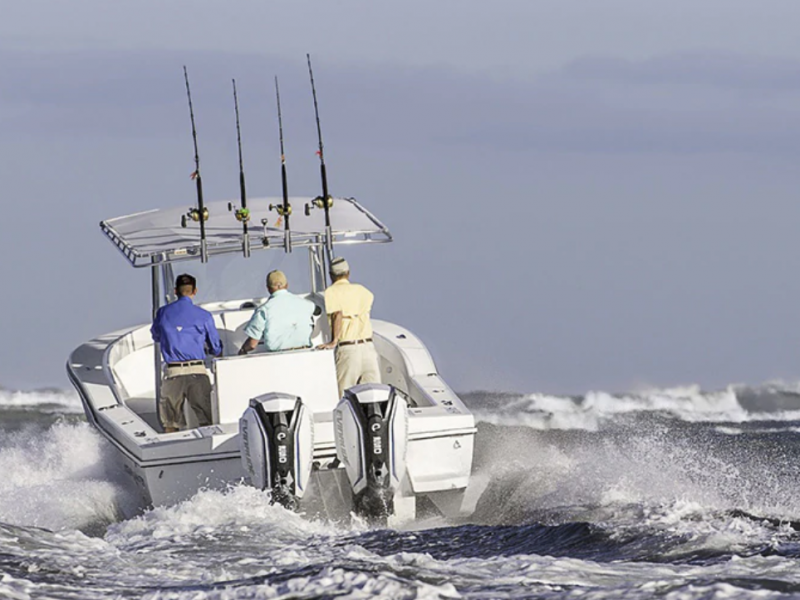 When it comes to choosing an outboard engine to power your center console fishing boat, you’ve got choices. 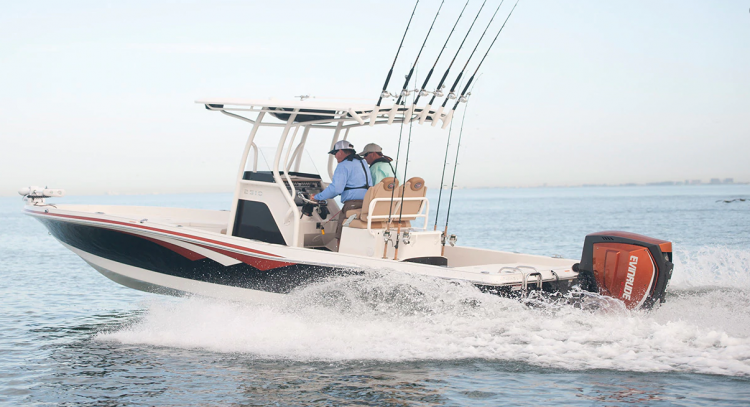 Here’s five reasons to consider the Evinrude E-TEC G2. 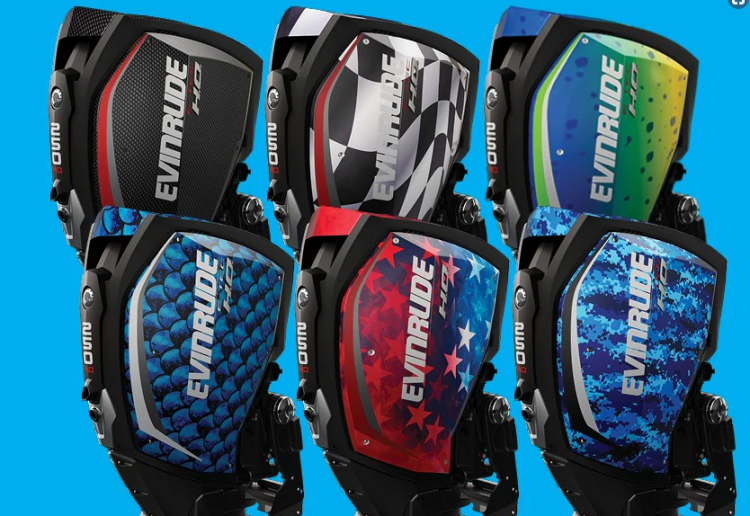 If you’ve been at a boat show, in a marina, or out on the water lately, you’ve probably already noticed Evinrude’s E-TEC outboard engines for their radical design and head-turning custom colors and patterns. 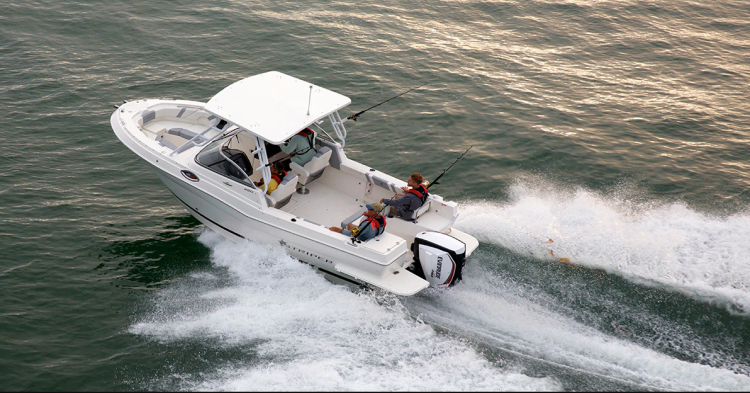 You’re an individual with a style all your own—shouldn’t your outboards match your boat and your fishing personality? Evinrude’s direct-injection technology optimizes how fuel is delivered into the cylinder. Virtually every drop of fuel in the cylinder is used, producing 30% more torque than competitive outboards, lighting-quick holeshots, and blistering acceleration. Whether you’re heading out to the hot spot at sunrise or racing back to the marina at sunset, with an Evinrude E-TEC G2 you’ll leave other boaters in your wake. The Evinrude E-TEC G2 is the most efficient piston/cylinder design in the industry. It’s so clean burning that it produces the lowest overall reportable emissions of any major brand. And you’ll spend a lot less at the pump because you’ll burn up to 15% less fuel than the leading four-stroke. That means more money in your pocket and more time on the water. 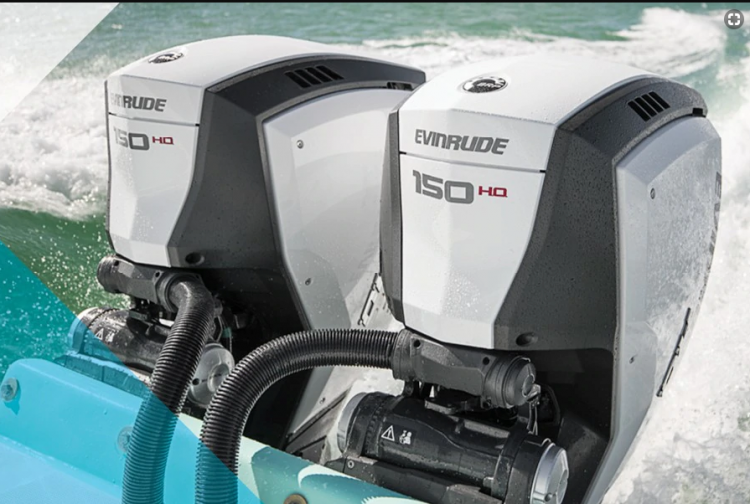 No need for a degree in marine engineering—Evinrude E-TEC engines are super easy to own. There’s no long break-in period, and Auto Storage Mode preps the engine for storage with the push of the button. They also require far less maintenance, far less often. E-TEC G2 engines only require dealer maintenance every 5 years or 500 hours, letting you save time, save money and eliminate hassles. The award-winning Evinrude iDock Joystick Piloting System is so intuitive, it enables anyone to dock their twin-engine boat like a pro. The iSteer Integrated Dynamic Power Steering makes your boat fun to drive with fingertip control at all speeds, while iControl Digital Shift and Throttle allows smooth, easy and precise shift and throttle operation. Evinrude’s iTrim automatically adjusts the trim of the engine, getting you on plane quicker so you’ll enjoy a more comfortable, fuel-efficient ride. Visit evinrude.com for more information and to see the current repower promotions!